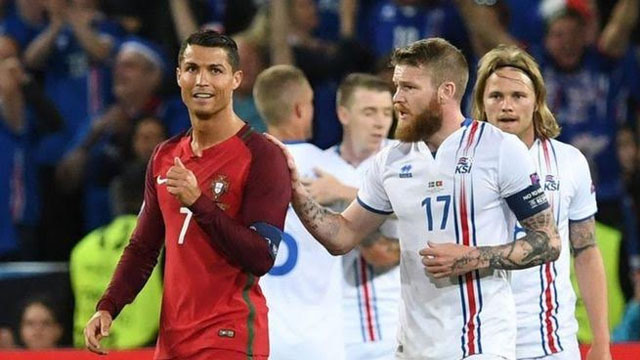 It’s deep in injury time, Portugal and Iceland are level at 1-1 and Cristiano Ronaldo is lining up a free kick. He runs up and, as the ball hits a wall of Icelandic players, the referee blows the final whistle. Cue wild celebrations from the the smallest nation ever to reach a major tournament.